Ogura Clutch offers a new style of tension control. Ogura has a large share and years of experience with industrial clutches and brakes, and automotive air conditioning clutches. 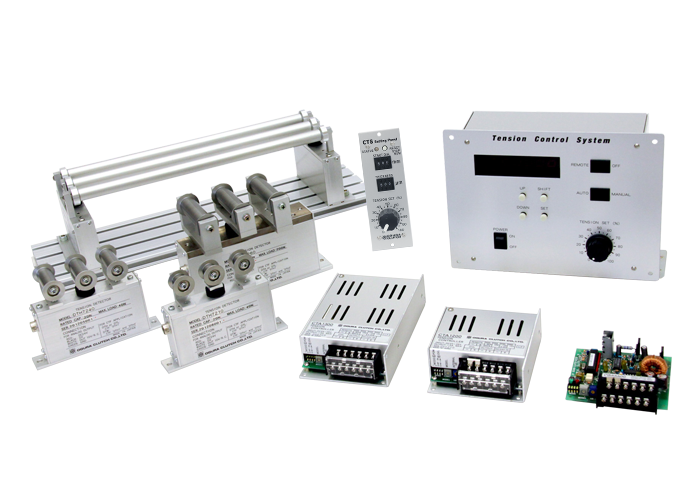 Utilizing these well proven components, Ogura is now offering a line-up of tension controlling units. Utilizing a new digital signal communication method between the control unit and tensioning unit, we have developed a highly accurate, highly linear system at a low cost. By separating the control unit from the setting unit, simultaneous tension setting as well as individual tension setting can be achieved. The tension sensors were developed especially with the idea to utilize with a feedback-control system, with highly stable and accurate characteristics, at a very low cost.